I am working hard behind the scenes on the expansion of my business into home modifications. While that website is still under construction, I will share here some of the pediatric focused information I have been creating. Home modifications are not just for grown-ups, they can be for kids as well. 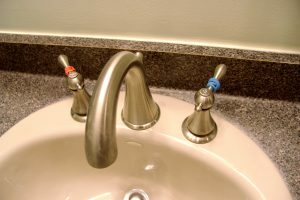 Here are a few simple, easy home modifications hacks that can help children both with and without disabilities. 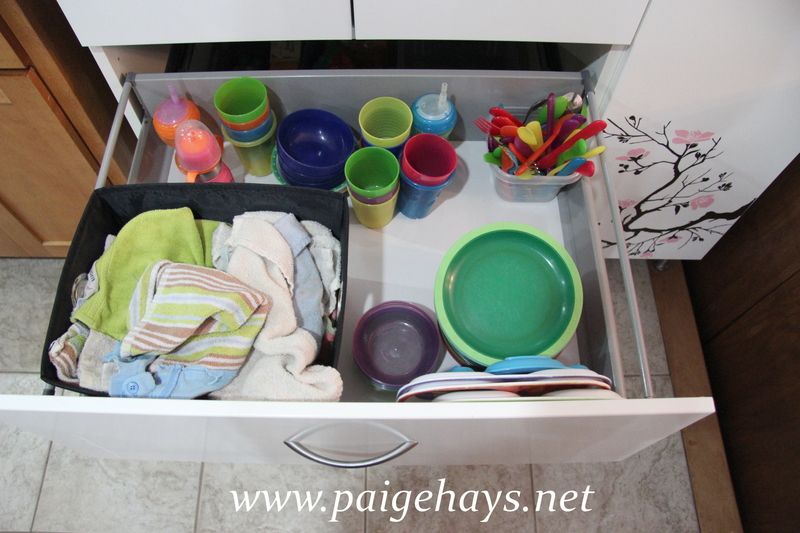 Idea #1: Use a large, low kitchen drawer to store all the kid supplies for meals. Pictured above is an Ikea storage cabinet added to a kitchen as part of a pantry for storage. You can also modify an existing lower cabinet by adding a pull out drawer (or even a cheap plastic bin that children can pull out). Why? Typical kitchen storage is out of reach of most kids, but this modification allows children to access their own supplies so they can help with daily chores. Idea #2: Mark the hot and cold faucets with rubber bands (or colored hair ties). I’ve also seen color tapes, such as duct tape or electrical tape, used for this same purpose. Why? Remembering that hot is on the left and cold on the right takes a certain level of cognitive ability that young children don’t often have. Adding additional visual cues can help them distinguish hot from cold, as well as increase safety. Then simply remove once they are no longer needed. 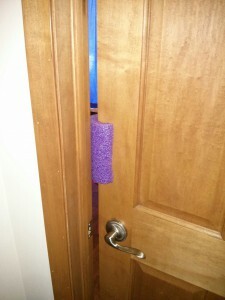 Idea #3: Door bumpers made from pool noodles. Just cut a small length from the noodle and it should just fit around the door easily. Put it up high enough so your kids can’t remove it. Why? 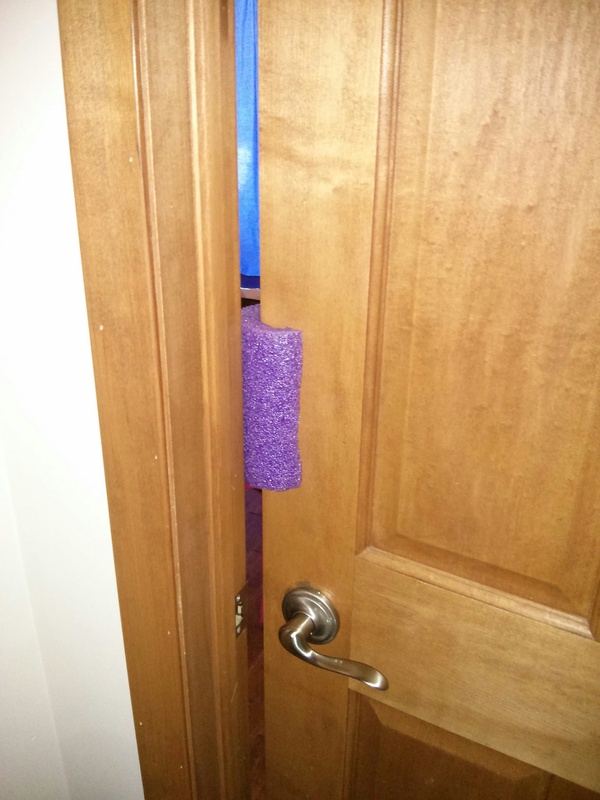 This prevents doors from closing which can avoid pinched fingers and slamming doors. It can also help quiet the sound of doors, especially while children are sleeping. Idea #4 Shoe bins near the door. 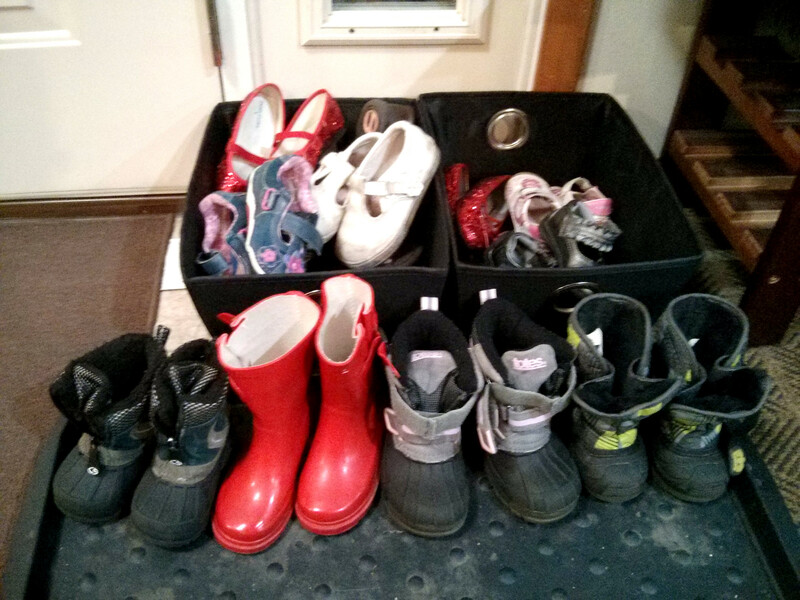 Place any durable bin near the door for children to keep their shoes in to decrease clutter and increase organization. Why? Children are more likely to put away their belongings if it is easy for them. Home set-ups such as this one can encourage children to take care of their own belongings and increase independence in daily routines.